The star anise (Illicium verum), named for this characteristic fruit, is a medium-sized evergreen tree, the dried fruits of which are the source of oil of star anise. 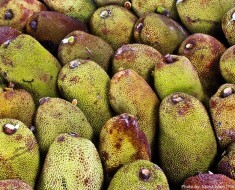 It is native to northeast Vietnam and southwest China. In Biblical times, anise was so highly prized that it was often used for tithes, offerings and payment of taxes in Palestine. 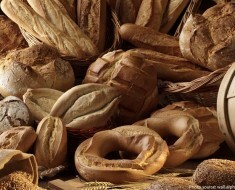 It is mentioned in both the gospels of Luke and Mark. However, some scholars believe the word translated “anise” found in Matthew XXIII, 23, actually refers to “dill” in the original Greek. 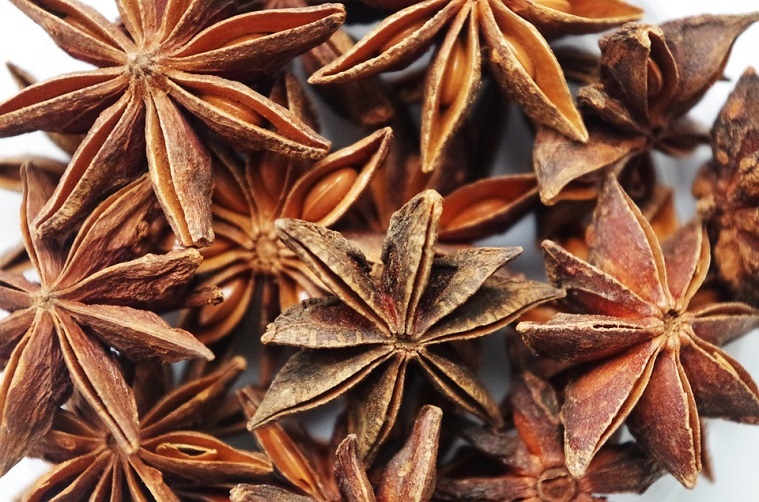 Star anise has been used throughout Chinese history for its culinary and medicinal properties. The Japanese used to burn the aromatic bark of the tree for incense. 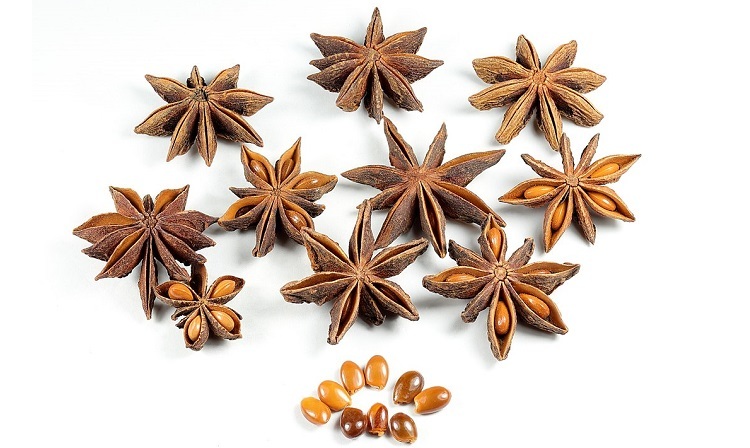 Star anise started being used in Europe from 17th century to flavour syrups, cordials and preserves and is still used in western countries today to flavour drinks, chewing gum and confectionery. 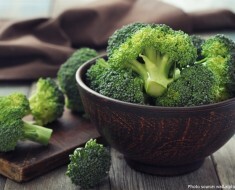 It is an evergreen tree or shrub attaining a height of 8 to 15 meters (26 to 49 feet) and a diameter of 25 cm (10 in). 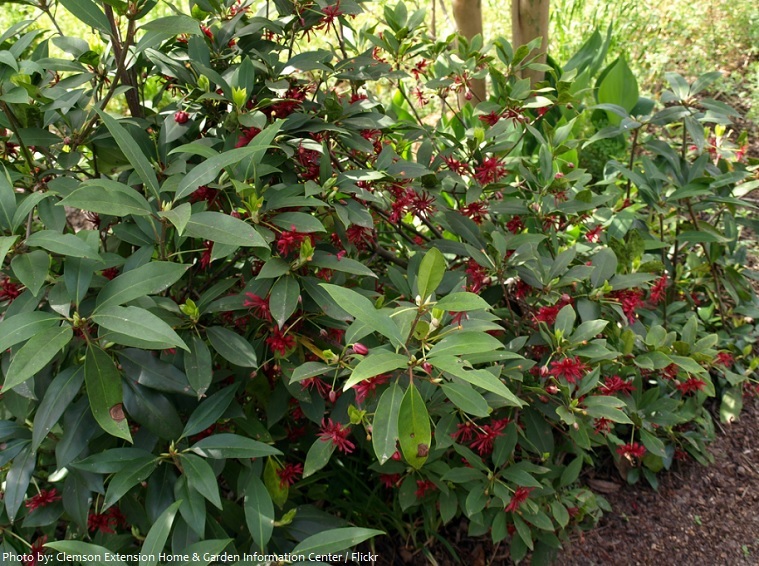 Star anise trees and shrubs can bear fruit for 100 years or more. The leaves are entire, 10 to 15 cm (4 to 6 in) long, 2.5 – 5 cm (1 to 2 in) broad, elliptic, flowers are solitary, white to red in color. 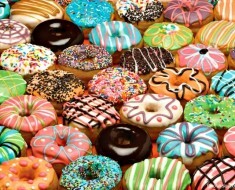 Fruits are star shaped, reddish brown consisting of 6-8 carpels arranged in a whorl. Each carpel is 10 mm (0.2 in) long, boat shaped, hard and wrinkled containing a seed. Seeds are brown, compressed, ovoid, smooth, shiny and brittle. 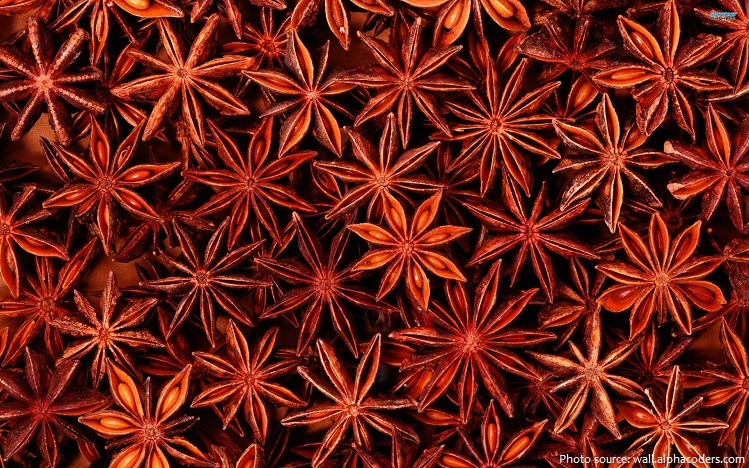 Star anise is used as a spice in preparation of biryani and masala chai all over the Indian subcontinent. 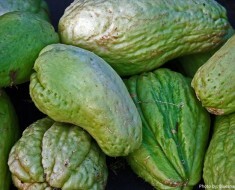 It is widely used in Chinese cuisine, and in Malay and Indonesian cuisines. Star anise is used in the French recipe of mulled wine, called vin chaud (hot wine). 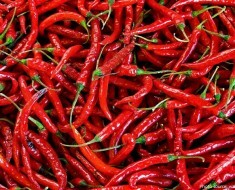 Today it is this spice is produced mainly in China, Vietnam and Laos. About 90% of the world’s star anise crop is used for extraction of shikimic acid, a chemical intermediate used in the synthesis of oseltamivir (Tamiflu). Oseltamivir, sold under the brand name Tamiflu, is an antiviral medication used to treat and prevent influenza A and influenza B (flu). Star anise oil is also used in cooking, perfumery, soaps, toothpastes, mouthwashes, and skin creams.